"I just started playing, what to do?" - Its a general but very frequent question. When i was doing some lower mob missions i often saw players hanging out by NPCs, stuck at missions that were too hard for beginner avatar. Trade Terminal (TT) it is where u can buy basic things, and also its where u can sell items for its Terminal Value (also TT). How much is item worth? U can read about that in item info. Its value is expressed in PED (project entropia dolar) and PEC (cents). But this is the one side of the value. The second, most important in this game, is the Market Value (MU). Like in real life, some items are better, nicer, more useful, etc. than other. Thats why ppl demand them more, and are willing to pay more for them. U can almost always check ur item's MU in item's information and Market History. Some items cant be sold via Auction, so they dont have market history, but ill list some of them later in separate post, to give u an idea what to do with them anyway. Auction Terminal (or Auction House - AH) is the place where u can list ur items for other players, so they can buy them. Some items can have TT like 1 ped, but market value of 1000ped. The market value is expressed in two ways: TT + (number of peds), or in % (ie. 300%). It depends on if item is unlimited (TT+), limited (%) or its a material (%). What is the difference between unlimited item (UNL) or limited (L) ? Unlimited items can be repaired in Repair terminals, so u can use them over and over after they break and u repair them. Limited items cant be repaired, but are much cheaper. For example top guns can be worth like TT+50.000 or more ped... while limited versions, that are as good as unlimited, costs 120 or 150% of TT. If they break u just buy another one. Stackables, like ores, oils, components are sold also for % of its TT, for example Iron Ore can cost 110% of its TT. Important is that everytime u list something on AH, it costs a fee... its 0.50 ped+ % of MU u sell for, usually it costs like 60-80pec per item u sell. TIP: Its better to gather a stack of items same type, at least 10PED TT, so the fee (0,5 ped at least) will not eat ur profit! there are also other terminals, but ill leave them for later. so as u noticed, all here got some value, but u dont have any cash yet, so u cant buy anything yet... U can play for free, which is challanging, or u can deposit. I do it from time to time, many or even most players do it. It is the way we support the game, and also make playing it easier. Most complex online games got monthly fees, so depositing 10-30$ a month here is totally ok to me (u can also withdraw ur PEDs! ), but i dont recommend it to u at the start. Why? If u try to play Entropia for free for some time, ull discover it better, and ull play smarter with PEDs u get from later deposits. How to find a mentor? Just talk to ppl, ask questions, and see if there is some1 willing to answer the way it helps u. U can also <rightclick> the screen, and from popup menu pick <Mentor register> There u can find ppl that are active Mentors, u can request them as a Mentor, or just contact them. Whats sweating? Alright so how to get ur first peds here. As a new avatar u dont have much: some clothes, and VSE mk 1 tool - the sweating machine. This is ur best friend for next few hours or even days. This tool allow u to retrive Vibrant Sweat from animals (we used to call all hostile creatures as MOBs). U got to find small and harmless MOB, aim it with ur VSE mk 1 and start using. At the start u will get many fails, its like nothing is working... u just got low skills. When u see a green ray between u and MOB, ull know its working. After succesful concentration period u will get few bottles of Vibrant Sweat. If MOB hits u while u concentrate, it will disturb it. Yeah, it takes time to collect some... To sell it, u need to find a buyer, u cant Auction it. People used to pay 2-4PED ped 1000 bottles of Sweat. Its not much, but it is free. 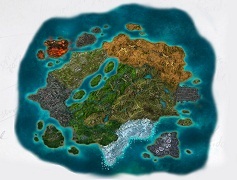 So, find easy mobs (easy mobs are those: http://cyrenesecrets.com/im-a-new-player-what-to-hunt-on-cyrene/ ) and u can find them on Cyrene Map. I recommend to start with Puny Pleak. Start sweating, u will get hit, but u will heal over time for free. Its fine for a start, u dont have to pay for the decay of healing tools u can use later. Most important tho, aside getting sweat, is getting skills. After MOB becomes dry, so u can get any more sweat from it, pull it close to base towers to kill it. U can find more info about sweating in Sweating Tutorial. How to trade with ppl? Find a place where ppl are hanging out, atm its 0x101 Supply Depot mostly, and ask in normal chat, ie "Selling Sweat - 3ped / k" Many of them will be afk while crafting items or something, so dont feel bad if no1 responds. Maybe they just dont want to buy anything, and its ok. On the other hand some guys can try to bargain with u telling stories about how high ur price is, but well, u can check MU in tem description - take weekly MU as the general reference. Aslo Cyrene offers some free items via salvaging missions, so its enough that u run a bit here and there using mission maps, and ull get some free items, mostly BPs (blueprints - the schemas that allow crafting items) that u can sell to other players and get some PEDs. Always check MU of items u are willing to sell! Alright, so u get few peds form selling sweat, and maybe also few from selling BPs that u got from salvaging missions, what now? Now u can try some hunting and do missions. Entropia isnt about sweating or hunting only ofc. To graduate u got to try some other activities here: Mining and Crafting. TIP: dotn drop probes too close to eachother - ur finder have a search range, so drop probes like 3/2 of that range between eachother. It leads us to last point: Learn as much as possibe about mobs (are they hard or not, what they drop). Learn as much as possible about items (what value they have, are they in demand or not). Learn about areas and daily missions. Where u can find certain mineral, or enamtter. Learn, learn, learn... or like my friend "non" says: "Research, Track, Compare, Adapt, Repeat..."